I read with a bit of sadness this weekend the stl today story telling that the Admiral will soon be on its way to the scrap yard where it will be unceremoniously sliced to pieces with cutting torches. But then I thought about it and realized that St. Louisans haven't cared about the Admiral, or the riverfront in general for that matter, for decades. After the almost 40 year stretch of river cruises ended in 1979, the boat was in limbo until 1987 when Six Flags tried to reopen it as an entertainment center which failed miserably. 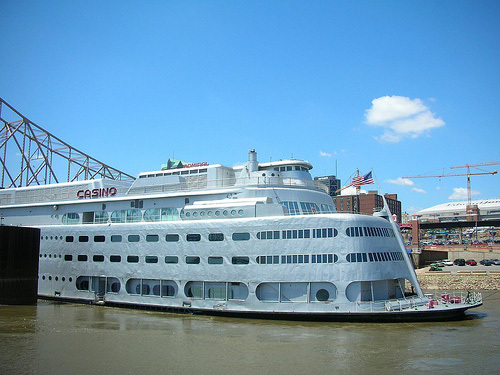 In 1994 the boat was converted to gambling casino. 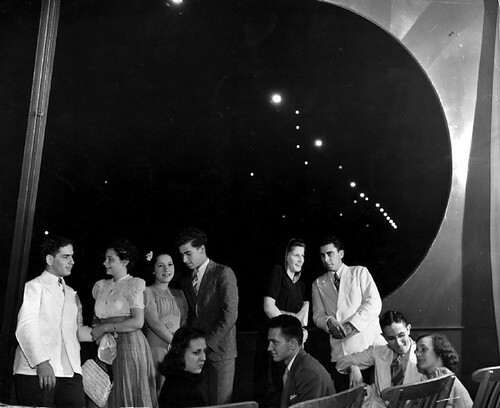 By then, there was almost nothing left on the interior of the boat to tell you that it was once a great art deco cruising vessel. For the next 16 years people came to the not to see the river or admire the Admiral's streamlined stainless steel architecture (which was largely hidden by the goofy light blue mooring structure, but to play the slots or try their luck at the black jack table. After Pinnacle closed the boat last year, there was plenty of opportunity for someone to buy the Admiral and come up with a creative re-use for it. It was even on ebay for a while! But no one came through for the shiny symbol of years past. To my grandparents and somewhat my parents generation, the Admiral was one of THE places to go for fun, as was Gaslight Square. Like Gaslight Square though the luster of the Admiral faded and like Gaslight Square, most of the later generations including ours were oblivious to the to the former shining stainless steel star of the riverfront and ambivalent about the vessel's ultimate fate. The story of its demise is listed in stl today's "most read stories" column, but I'd be interested to see the average age of the readers. I went to the fixture sale a few months ago and it seemed there were only a few like me who simply came to see the Admiral, most were milling around trying to get a bargain on crappy furnishings and equipment. St. Louis had its chance to see the Admiral carry on to some new life for future generations to enjoy, but instead it let that chance simply float away down the river.